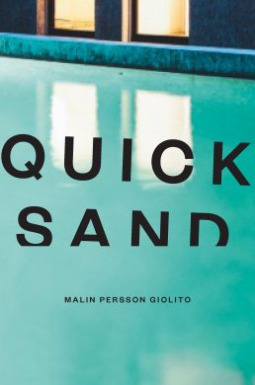 Many thanks to Other Press for sending a copy of the intriguing Quicksand by Malin Persson Giolito. I confess that this is a novel that I might not have noticed without the help of Other Press, but I’m so pleased that they reached out to us! As it turns out, Quicksand is a smart read that challenged my logic and had me guessing right through the close of the story. The book revolves around the in-custody 18-year old Maja Norberg, who has been arrested for a mass shooting that took place in a Stockholm prep school. The neighborhood surrounding this school is wildly wealthy, and it goes without saying that Maja’s arrest for her role in the classroom massacre has the town reeling. Maja has spent the last 9 months in jail waiting for the trial that will determine her fate, and the press has already convicted her many times over. Among the dead are Maja’s teacher, her boyfriend, and her best friend. Did she pull the trigger? Did a popular, straight-A student snap and become a cold-blooded killer? When the book kicks off, you certainly feel that way. It first reads like an insight into a teenage criminal. Glum, emotionless and sarcastic, Maja is easy to dislike. Dubbed a murderer by the media, she interacts with her lawyers minimally and believes her parents to be caricatures rather than authority figures. She appears to like no one, trust no one, and shrugs away the entire story as if she’s watching a crime program. And just as you’re ready to convict Maja yourself, there’s a glint of doubt that creeps into the story. Is this a ruse? Some sort of setup? Is her refusal to fight the courtroom circus an admission of guilt, or sheer exhaustion? Or, more cynically, is there an overarching ploy at work here, readying the reader for the ultimate literary twist? The novel then blinks back and forth between the courtroom and the events that lead to the school shooting. Maja’s relationships with her parents, her best friend Amanda and her (ghastly) boyfriend Sebastian start to unfurl. Suddenly, I wasn’t so sure of my “guilty” verdict. At this point, the book better resembles a character study than a thriller, but the unknown still manages to hum loudly below the surface. There’s no question that Maja was present for the shooting, but what was her role? Not knowing who bore the most guilt kept me reading. My only (minor) complaint about Quicksand was that there was a great deal of repetition. A few times, I lamented that the book could have benefited from a bit more editing. While I understand the need to establish the backstory, there were portions of the novel that felt disjointed. Regardless, even without a perfect flow, this is a novel that is worth reading. I have seen reviews of Quicksand that complained that the novel is not the thriller that had been described. This is true, and if you’re looking for a breathless crime novel, then this probably isn’t the best choice. If, however, you’re open to a slow burn with incredibly sharp character development, then I highly recommend this novel. I appreciate the slow-burn of a thriller, with more of an emphasis on character. This sounds like a good match for me! Wonderful! Love getting into the heads of characters like this. Please let us know what you think after reading it!